The precursor of the Tax Court, the Committee on Appeals and Review (the Committee), was part of the Bureau of Internal Revenue. This Committee was not a fact finder; instead, it operated under its own version of a record rule. The taxpayer was generally permitted to introduce evidence to the Committee only in affidavit or documentary form and could not adduce evidence that had not been considered by the Income Tax Unit. Pressures to replace the Committee resulted largely from two factors: (1) The Committee was not independent of the Bureau of Internal Revenue; and (2) the proceedings in the Committee were not adversary, were not public, and did not permit the introduction of new evidence. To address these concerns, the Revenue Act of 1924, ch. 234, 43 Stat. 253, replaced the Committee with the Board of Tax Appeals (the Board). Originally, the Administration had proposed that the Board be created as an informal hearing body within Treasury. Under the original Administration proposal, the Board was to consider its cases "on the basis of Bureau files. Since under the proposal the Board was to be a part of Treasury, there was no impediment to access by the Board to Bureau files. In the 1924 legislation, Congress changed this plan to make the Board an independent agency in the executive branch; it was generally required to follow formal judicial procedures. Moreover, the Board's record had to be independently compiled. Thus, the Board stressed that '[w]hat has been submitted to or considered by the Bureau of Internal Revenue is beyond the ken of this Board. . . . [E]vidence that has been presented before any other department of the Government must be reintroduced before this Board before we can consider it. The Revenue Act of 1924 left the resolution of most procedural and evidentiary issues to the discretion of the Board. 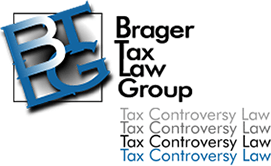 In 1942 the Board of Tax Appeals was renamed the Tax Court of the United States. This name change did not significantly affect the jurisdiction, powers, or duties that previously had belonged to the Board.